One of the unique aspects of JFF is the staying power of its personnel. Many of the staff have very long service records with the Foundation, with several now exceeding 20 years. With such experience on our team, we remain confident that we can deliver the best possible service to our patients. 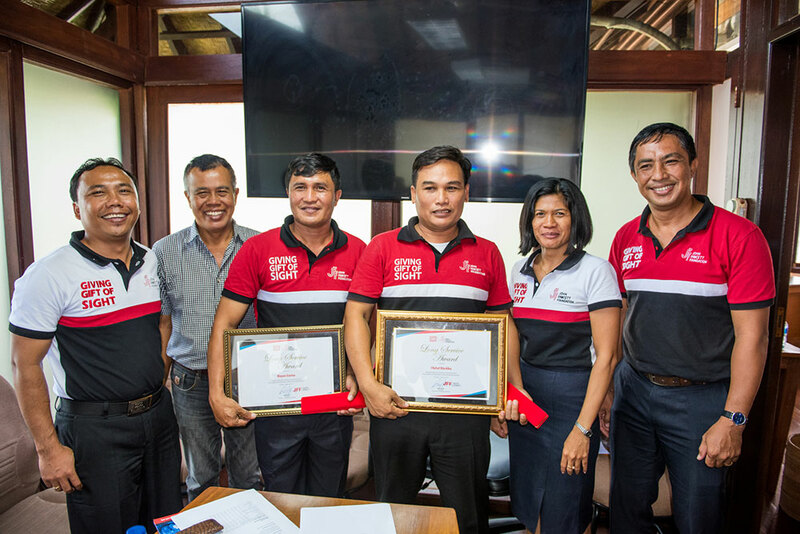 Two of the longest-serving staff members received awards from the Bali Management Team in January. Dharma started working with the Bali Eye Program in 1991 as a nurse in the original mobile eye clinic, having just graduated. 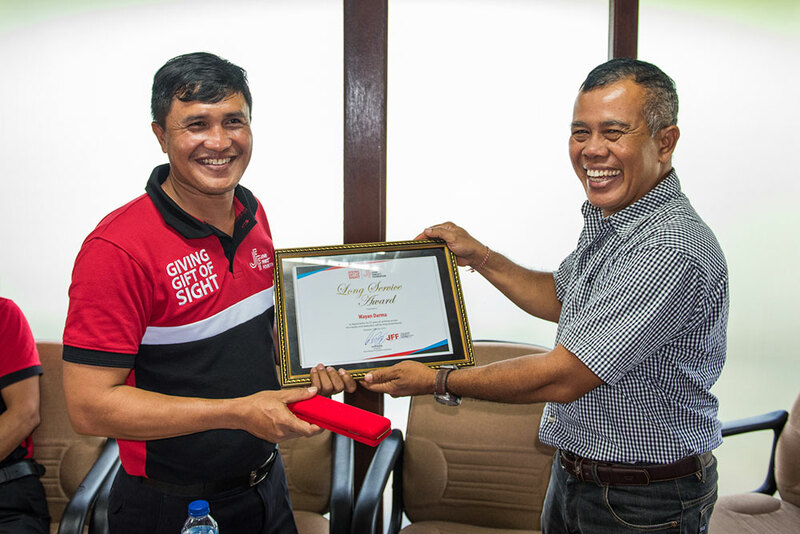 From 2005 to 2008 he was Nurse Coordinator of the North Bali Mobile Eye Clinic team, and is now Nurse and Surgery Coordinator, heading JFF’s surgical team and nurse training team.